Crossrail will have a big impact on travel across the city. The one drawback is that it hasn't been optimised for pub crawlers. We want to fix that by proposing a new underground network to connect up our favourite pubs. 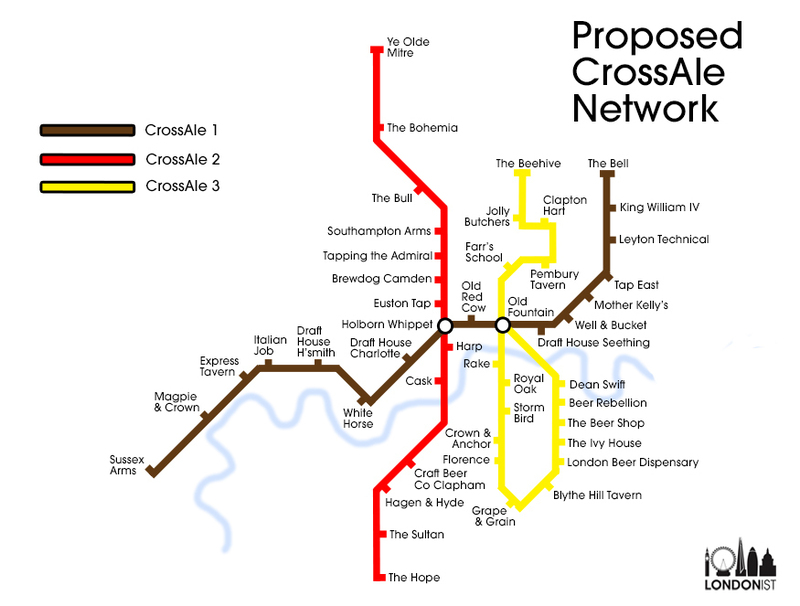 Called CrossAle, our scheme would whisk drinkers between some of the finest craft ale pubs in the city. Our beer goggles are focused (mostly) on freehouses with the widest selection of ales. As with any such exercise, our CrossAle scheme is not comprehensive. We want you to suggest extensions to the lines, or possibly a CrossAle 4 connecting the northwest and southwest. Or how about a special branch that hooks up some of the brewery taps? Here are the routes, with links through to pub pages. Browse our database of the best London pubs.